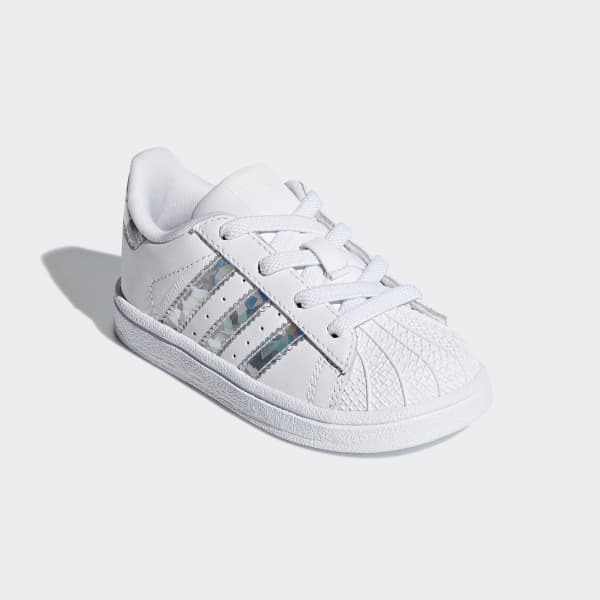 An toddlers' sneaker with flashy iridescent details. 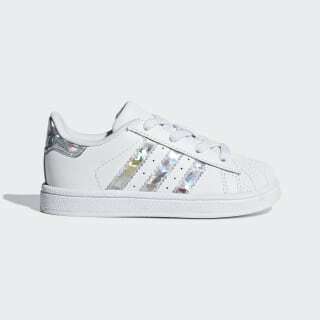 These toddlers' shoes are a miniature version of the adidas Superstar sneaker, right down to the iconic shell toe and rubber cupsole. The leather upper shows off iridescent details that sparkle in the light. Elastic laces make them easy to put on and take off.